Boat transfer between Narsarsuaq and Inneruulalik. Breakfast, lunch and dinner are fully included. 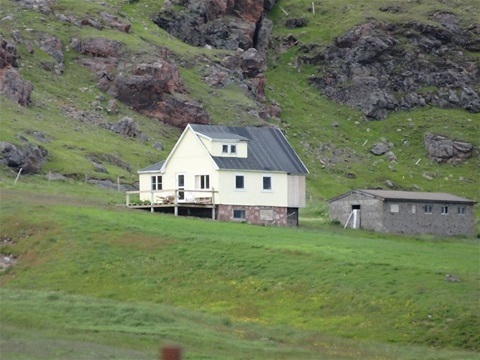 You will spend six nights at Inneruulalik hostel and two nights at Sermilik Hostel. 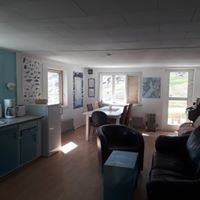 Inneruulalik hostel has two bedrooms with two single beds in each room, a larger room on the second floor with 3 single beds and a sofabed for two incase needed, an all-room with kitchen, dining-room and living-room. 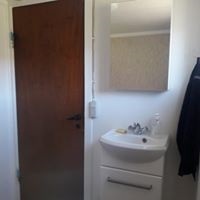 The kitchen is equipped for selfservice and the bathroom has a toilet and a shower for all guests to share. 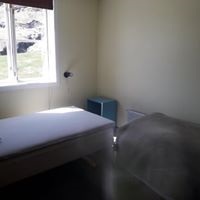 Sermilik hostel has bunkbeds for 12 guests and a ktichen and bathroom for all guests to share. All food for breakfast and lunch will be in the fridge for guests to take themselves. Dinner will be brought to the guesthouse at 1800. Dinner is based on lamb, fish and muscox all greenlandic. 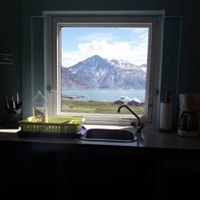 We sell different sorts of soda, wine and greenlandic and danish beer. During the tours the guides will carry the guests water-bottles and lunch pack. We only accept guests to have riding skills from intermediate plus to experienced. During the ride it will be walk, trot, tølt and canter. Bring a water-bottle for the rides. Pack warm clothes such as a wind-proof jacket, woolen or fleece sweaters, gloves, thick woolen socks, headbands/ear muffs, scarf, long underwear (thermal) and, of course, your riding breeches. Rainwear. We recommend riding boots and/or hiking boots for riding. 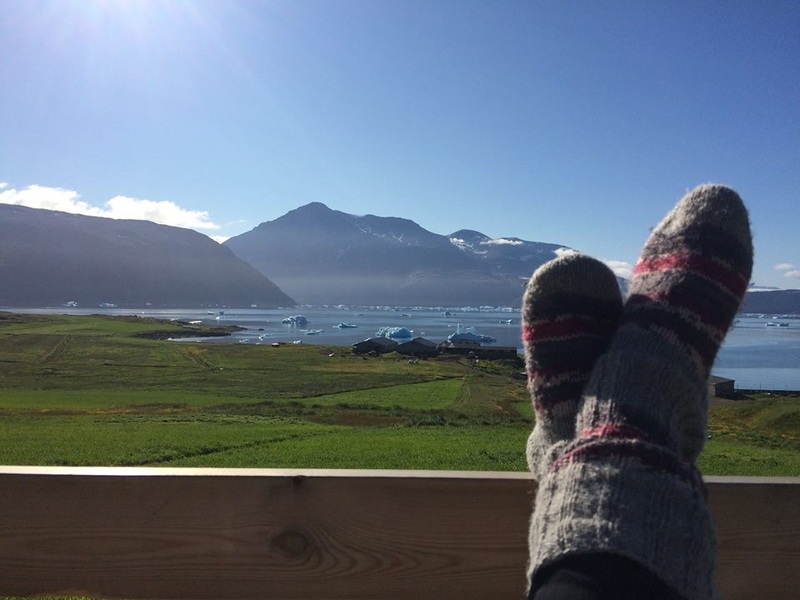 For the cabins/indoor use, slippers are advisable. Also, prepare for warmer weather and bring along lighter clothes and sun block. Bring your own personal medication. We are not allowed to give out medication except in emergency situations. Also, remember to bring your travel insurance certificate. Bring only what is necessary during the tour. For the stay in Sermilik Hostel, one smaller luggage for each rider will be transported by car to the hostel. Other luggage, like a big bag of travelling clothes, can stay at Inneruulalik hostel during the entire tour. We will hand out riding helmets for each guest and if you like to you can bring your own. There will be a first aid kit at the guest house and one with the guides at all rides. There will be no cellphone connection on most of the rides and the first guide will carry a radio connected to the farm house in case of an emergency. The nearest hospital is in town and we can only get to town by boat (1 hour sailing) there is a nursestation in Qassiarsuk and Narsarsuaq. Inneruulalik farm has 10 horses and 9 for riding. For the tours we normally rent 2 or 3 horses from neighbour farms as well. Guest and horse will be matched as best as possible, and the guest will ride on the same horse during the entire tour: If needed we can switch horses. Pace: walking, trot, tølt and canter.